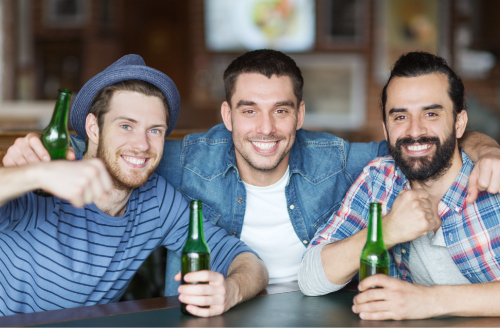 Often Stag Parties are a once in a lifetime experience, whether it’s for the groom, or the bride, it is the last chance to party down with your close friends before the big day. However, while you want to have the time of your life, you also want to do it safely, whether it is bar hopping or clubbing, getting back and forth from that party destination, everyone wants to get home safe and sound. Driving drunk can quickly turn excellent stag parties into tragedies. The planning of stag parties can be challenging. Make yours a night to remember by letting The Limousine Service drive you and your party in style and luxury. The Limousine Service is a family owned company that been in the business for more than twenty years, and their professional drivers are top notch. The Limousine Service can take care of any type of stag parties that you may be planning. We have professional chauffeurs to drive you to and from any location. In addition, they have one of the largest fleets of different luxury vehicles in the industry, whether it is a new black or white stretch limo, exotics, Luxury SUV, or an Executive Van. Each vehicle is fully loaded with a wet bar, ice, glasses and napkins. They are also equipped with televisions, DVD players, radios and CD players, the works. Whether it’s stag parties you’re after, transportation for your wedding, or even getting to and from the airport, The limousine Service is at your service. Just make sure that you book your stag parties or wedding in advance, because at certain times of the year limousine rentals are in high demand. Be safe and smart, the cost of a limousine service is must less than the cost of a DWI or maybe even your life.